TV host Chris Hardwick attends NBCUniversal's Summer Press Day 2018 at The Universal Studios Backlot in this May 2, 2018, file photo, in Universal City, California. Chris Hardwick's career is getting back on track after a review of sexual assault allegations made by a former girlfriend. 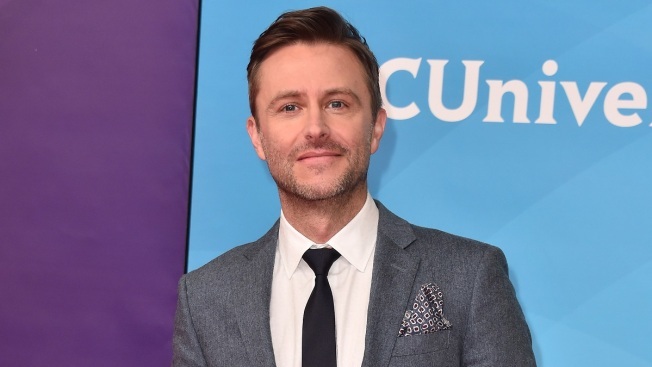 NBC's confirmation Tuesday that Hardwick was keeping the gigs came a week after AMC said he would be back with "Talking Dead" and "Talking with Chris Hardwick" following the review. He is scheduled to resume work on "Talking Dead," companion to drama series "The Walking Dead" and "Fear the Walking Dead" on Aug. 12, the date that the latter show returns for the second half of its fourth season. Yvette Nicole Brown had been named interim host during the review.